This book provides readers with a solid understanding of the concepts involved in the propagation of electromagnetic waves and of the commonly used modeling techniques. 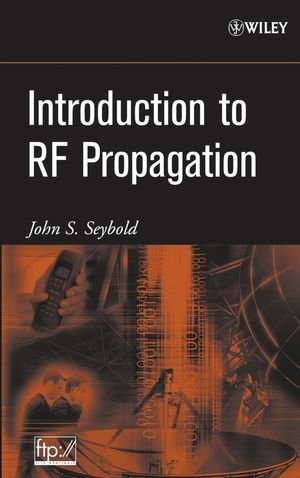 While many books cover RF propagation, most are geared to cellular telephone systems and, therefore, are limited in scope. This title is comprehensive-it treats the growing number of wireless applications that range well beyond the mobile telecommunications industry, including radar and satellite communications. Examples of widely used models provide all the details and information needed to allow readers to apply the models with confidence. References, provided throughout the book, enable readers to explore particular topics in greater depth. Additionally, an accompanying Wiley ftp site provides supporting MathCad files for select figures in the book. JOHN S. SEYBOLD, PHD, is a Communication Systems Engineer at the Harris Corporation. Prior to joining Harris, he was an associate professor of electrical engineering at Florida Institute of Technology where he also served as the associate director of the Institute's Wireless Center of Excellence. During his career, Dr. Seybold has worked in radar systems, digital signal processing, and communication systems, including spread spectrum. 1.4 Model Selection and Application. 2. Electromagnetics and RF Propagation. 2.6 Propagation of Electromagnetic Waves at Material Boundaries. 2.8 Ground Effects on Circular Polarization. 4. Communication Systems and the Link Budget. 5.2 The Radar Range Equation. 6.4 Loss From Moisture and Precipitation. 7.4 Propagation in Built-Up Areas. 8. Fading and Multipath Characterization. 8.3 Large-Scale or Log-Normal Fading. 10. Rain Attenuation of Microwave and Millimeter Wave Signals. 10.4 The Link Distance Chart. 11.4 Satellite Path Free-Space Loss. 12.2 Biological Effects of RF Exposure. Appendix A: Review of Probability for Propagation Modeling.